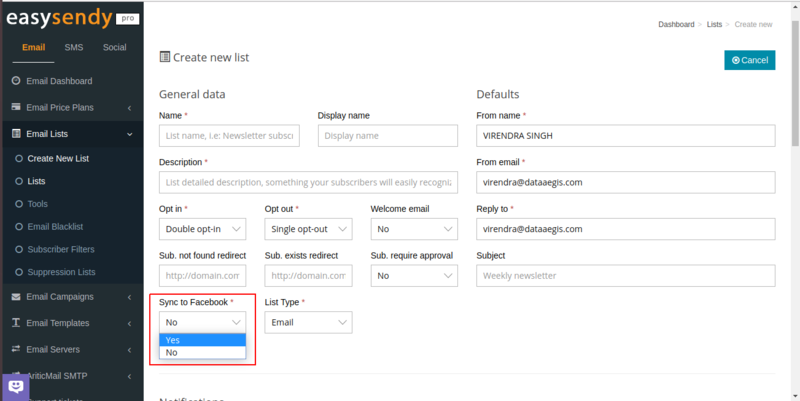 EasySendy Drip (or EasySendy Pro) has an option using which, you can sync your email lists to your Facebook Ads account by using Facebook Ads Custom Audience. Once you have synced your email list with Facebook Ads then, you would be able to run Facebook Ads on your custom ad audience list. Login to your EasySendy Drip (or EasySendy Pro) account and navigate to Email panel. 1. Click on top right menu and select Facebook Ad Sync. 2. 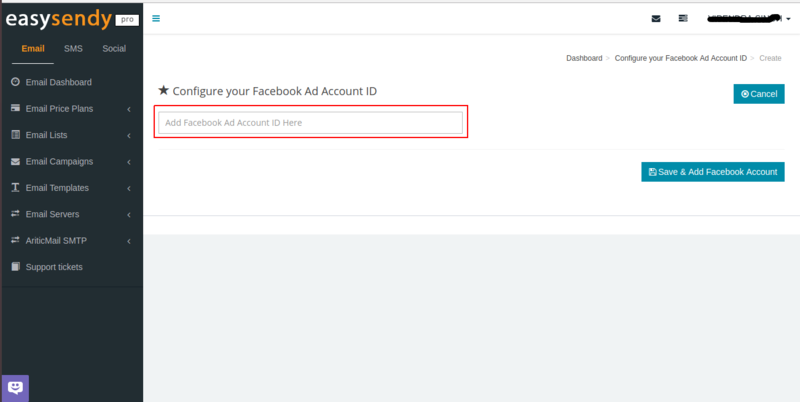 Click on “Add Facebook Ad Account ID” button to add your own Facebook Ad account ID. 3. 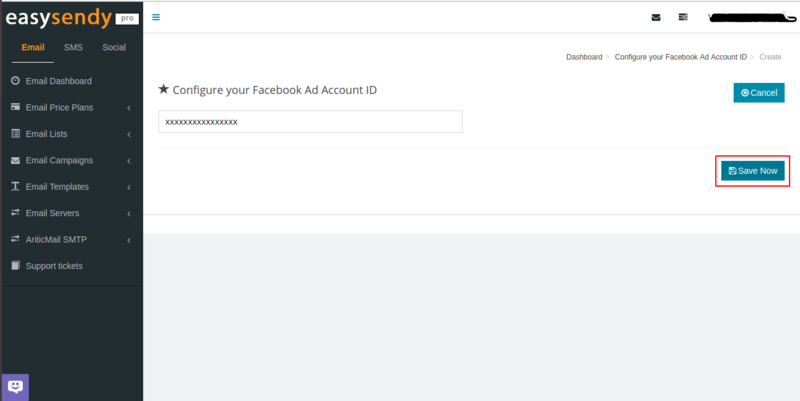 Enter your Facebook Ad account ID and click Save & Add Facebook Account button. You can find Facebook Ad account ID from here. 4. 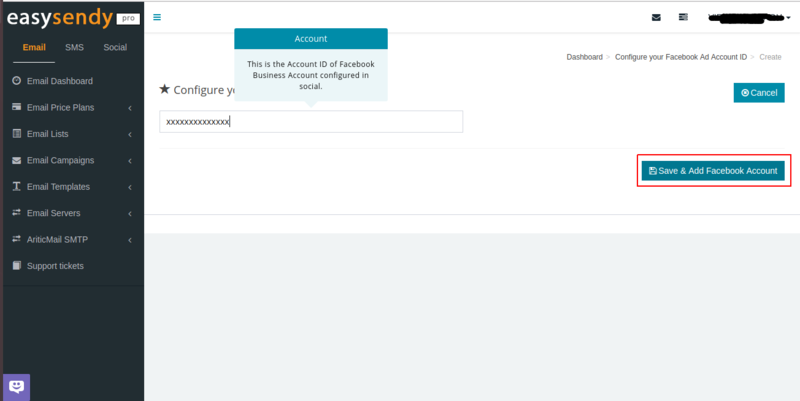 Now you will be redirected to https://social.easysendy.com to add and authenticate your Facebook account. 5. After successful authorization, you will be redirected back to EasySendy Drip (or EasySendy Pro) account and now click Save Now button. 6. Your Facebook Ad Account ID saved successfully and now you are ready to enable Facebook Ad Sync option inside your email list.